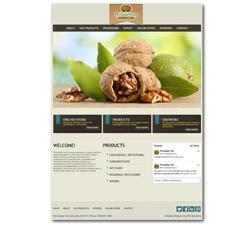 Selma, Calif.-based Poindexter Nut Co., a walnut processing company, launched a refreshed website, poindexternut.com, as part of ongoing efforts to enhance the quality and availability of information to its growers, customers and buyers. Poindexter is also working on designing new laydown and stand up retail bags, which should hit the market late summer 2014. The company started as a roadside walnut dehydrator in 1969 in San Joaquin Valley. Now, the company grows, processes, and handles walnuts. The company exports walnuts to 45 countries. On May 14, the website, designed by MC Solutions, a marketing and communications company, went live.